On behalf of admin of JML Law, A Professional Law Corporation posted in Truck Accident on Tuesday, Jan 02 2018. Colliding with a truck is one of the biggest challenges for U.S. motorists, and probably the greatest fear of pedestrians, bicyclists and motorcyclists. In over 90% of truck accidents in Riverside and all across California, a truck driver is never injured in a car-truck accident. For motorists, consequences of truck accidents can be devastating, while for pedestrians, bicyclists and motorcyclists they are most often deadly. You probably see at least three or four trucks on your way to and from work. What’s the risk of colliding with one of the most dangerous weapons ever operated by a human, truck? The risk is very high, as there are an estimated over 3.5 million truck drivers across the U.S.
All types of trucks are equally dangerous in truck-car and truck-pedestrian accidents: cement mixer trucks, garbage trucks, log carriers, tractor units, tank trucks, semi-trailer trucks and 18-wheelers. 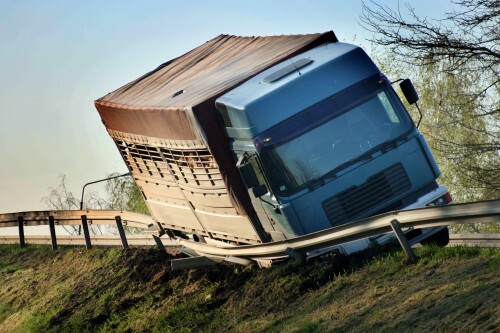 More often than not, truck drivers violate federal and state laws regulating trucks, which causes truck accidents in Riverside and elsewhere in California, our truck accident attorneys at JML Law explain. All of the above-mentioned are the most common causes of truck accidents in Riverside and all across California, our best truck accident attorneys in Riverside at JML Law say. Was the truck driver or their trucking company negligent? Under federal and state laws in California, all motorists and truck drivers have the duty to exercise a reasonable degree of care while operating the vehicle. Proving failure to exercise such reasonable care (negligence) and proving that the negligence causes injuries may entitle you to compensation. Damages for truck accidents include monetary compensation for your physical and emotional injuries, medical bills, financial damages associated with vehicle repair, lost wages, lost capability and other types of damages. Who should be named the defendant in a truck accident claim? You should consult an experienced truck accident attorney to identify all defendants in your particular case – the more, the better. Parties may include the truck driver, their trucking company, contractors, employers, and insurance companies. Note: not all trucking companies can be held liable for your injuries, damages and losses suffered in a truck accident. If the accident was caused by a truck driver who was an employee of the trucking company, that company may be held liable for the driver’s negligence. If the truck driver is, on the other hand, an independent contractor, it all boils down to the amount of inspections, maintaining and supervising done by the company in question. Do NOT call your insurance company before consulting a truck accident attorney first. Insurance companies will do whatever it takes to minimize your compensation for injuries and damages, as their investigators, adjusters and attorneys are trained to assess the damages in THEIR best interest and offer you unfair initial settlements. Here at JML Law, our skilled team of truck accident lawyers in Riverside offer victims of truck accidents an unbiased and thorough investigation and evaluation of their injuries, damages, and losses to determine liability and maximize compensation. Consult our Riverside truck accident attorneys today by calling JML Law at 818-610-8800 to get a free initial consultation.